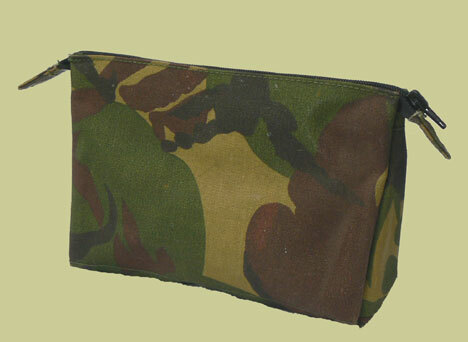 Dutch Army issue toiletries bag in the DPM camouflage pattern. Heavy, water-proof nylon canvas shell with zipper closure and internal side pocket. 8.5” long x 5” tall x 2.5" wide at base. Makes a great cash or pistol bag, or add one to your "bug out" bag/survival/emergency preparedness kit to hold small items. Many possible uses. Previously issued surplus item in very good condition. These will provide many years of service.